There is ‘The National Lentil Festival’ in Pullman of Washington where the citizens get together to enjoy and celebrate Lentils every year just before the university term starts. Among all starchy foods legumes are the best option because they have slowly digested or resistant starch. There are no hidden secrets with Lentils. It is a common knowledge that Lentils are high in nutritional value and have a lot of health benefits. Wikipedia has a comprehensive article with general information on Lentils. I have a simple Lentil soup recipe which takes 15-30 minutes to cook depending on the type of Lentils you choose. For those who are trying to lose weight (or save) this is a really great meal for dinner. I always have a pack of red Lentils in my pantry in case I need to cook a quick unplanned meal. 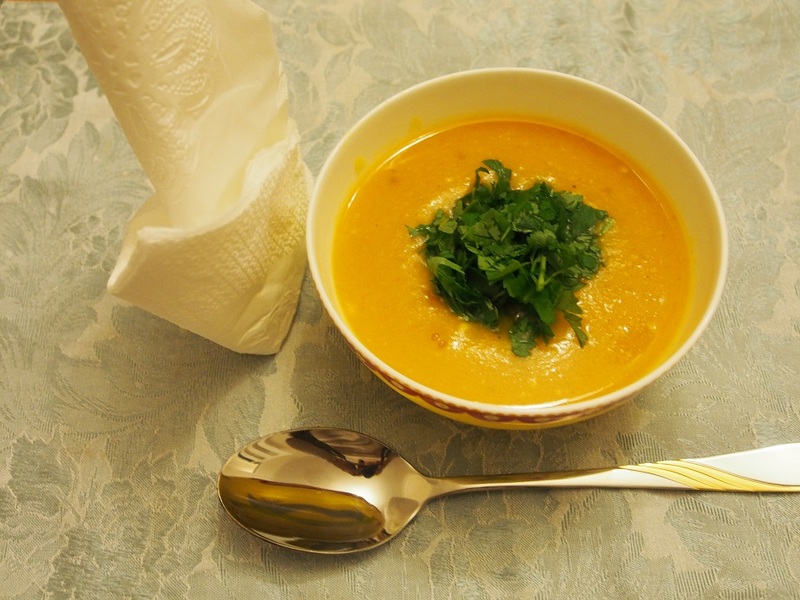 I use red Lentils for the soup because they require a shorter cooking time than green Lentils. The nutritional content of both types is very similar. Although whole green Lentils are higher in dietary fibre content and therefore have lower GI, whereas red Lentils are split, which means red Lentil sugars are digested earlier. When experimenting with lentils we need to remember something about cooking that relates to any starchy food: add spices and acidic components after the lentils are cooked. 1. Bring 2 litres of water to boil, in the meantime soak and wash lentils, then add to the boiling water and simmer on low heat. 2. Peel and finely grate carrots, then mix into the soup. 3. Finely dice the onion and add to the soup. Cook for 10 minutes. Lentils have to be soft before proceeding to the next step. 4. Add diced tomatoes and all spices to the soup. Mix well and taste for salt. Simmer for 5 minutes. 5. Crush fresh garlic and add to the soup along with lemon juice. Take the pot off the stove. 6. Using an electric blender process the soup to the desired consistency, and transfer back onto the stove. 7. As the soup starts boiling switch off the flame. Add finely chopped parsley to each serving plate if desired.